Since it’s been a few months since Audi’s SUV facelift was launched in the 2009 Shanghai Auto Show it’s about time they did something to concern the engines. So here they are, three new V6 engines and an eight speed Tiptronic transmission. Two of the new engines are petrol powered and the latter is a diesel and the feature various combinations of direct fuel injection and forced induction and all come teamed with high performance regenerative braking systems. The 3 liter TFSI engine comes in two forms of supercharged V6, the first one is set to replace the outgoing the basic version of the 3.6 liter FSI and the second one replaces the outgoing 4.2 liter FSI. 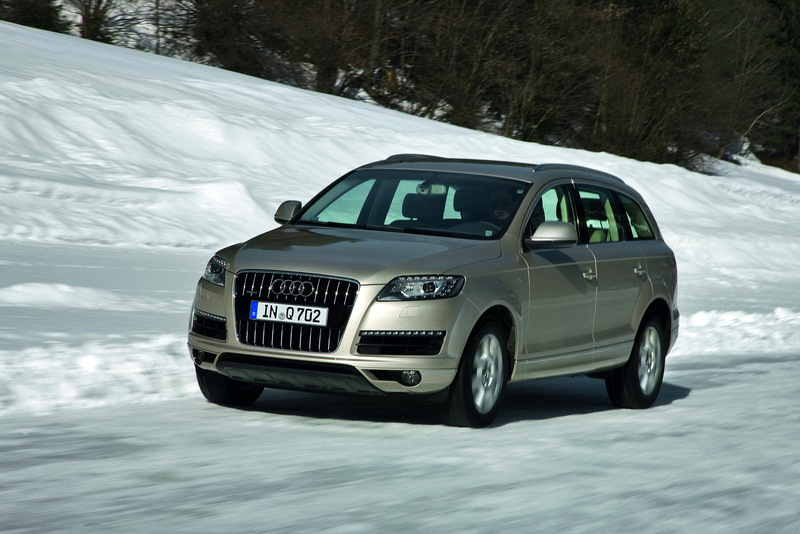 In basic form the engine develops 272 horsepower and 295 lb-ft of torque that is capable of taking the Q7 to 62 mph in 7.9 seconds and on to a top speed of 138 mph or 139 mph if you go for the adaptive air suspension version. 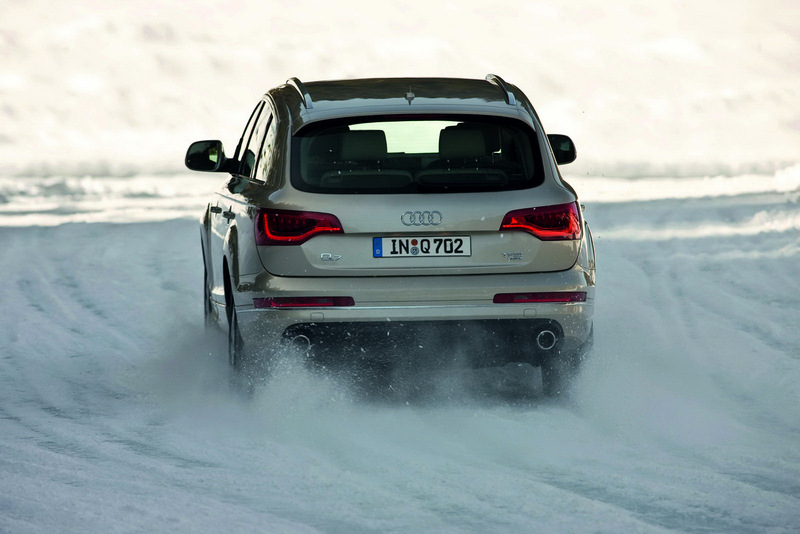 The more powerful version of the same 3 liter TFSI that replaces the 4.2 liter V8 engine delivers 333HP and 324.53 lb-ft and an acceleration time of 6.9 seconds to 62 mph and a makes the 2011 Q7 capable of a top speed of 151 mph (152 for the adaptive air suspension). Both these engines are more economical then the versions they replace by about 12 percent for the basic version and 16 percent for the more powerful engine. There’s also a new 3 liter diesel going into the 2011 Audi Q7 and this turbocharged V6 weighs 44 pounds less than the model it’s replacing while having an output of 240 horsepower and 406 lb-feet of torque. The sprint to 62 in this car takes 7.9 seconds and the top speed is 134 mph while the fuel consumption is nearly 32 mpg. 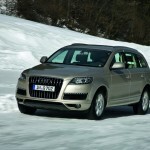 Audi will also be offering a cleaner diesel named “Clean Diesel” that will meet the very tough Euro 6 emission standards. That engine will be slightly slower, slightly thirstier but thanks to DeNox catalytic converter and addition of an additive it will have excellent emissions. When either of these engines is to be teamed with the new eight speed gearbox the fuel consumption is set to go down about another 5 percent.